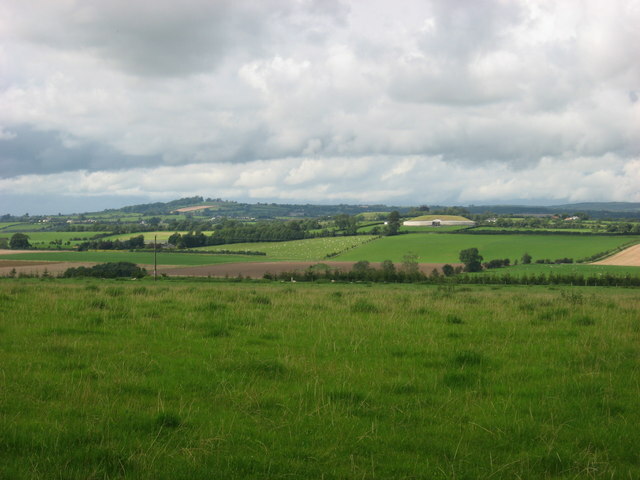 View through a gate in Roughgrange looking north-west to Newgrange passage tomb, with the Hill of Slane in the distance at far left. Another passage tomb may be seen as a green mound in the ploughed field at centre. The River Boyne is hidden from view in the valley. Newgrange and Roughgrange were both granges of the Cistercian abbey of Mellifont O0178 : Mellifont Abbey.